Series II does have parallels – Copper and Silver. Kanebo sounds like the name of a character you would see on a Mortal Kombat player selection screen. “Kanebo Wins!”, “Flawless Victory Kanebo!”, “Kanebo Finish Him!”. In reality, its the name of a Japanese gum manufacturer. Topps and Kanebo Foods came together in 2003 to bring collectors this crazy set. 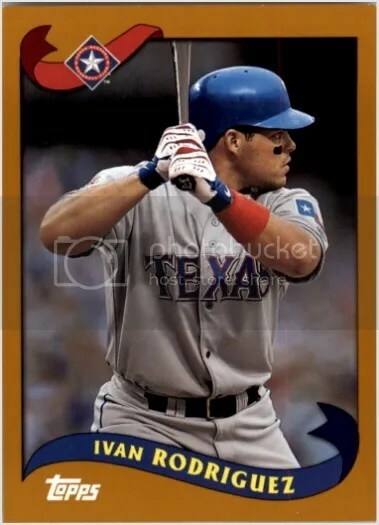 Its official title is 2003 Topps Kanebo, and was split-up between two different series. Series I contains (55) cards. The overall design is identical to that of the regular 2002 Topps Baseball flagship set. On the back is the main difference where everything is written in Japanese. Randomly inserted were silver and black parallels. Don’t let the design fool you. They look like something from 2002, but all of the cards from Series I have 2003 copyright dates. This can be extremely confusing when it comes to rookie cards. 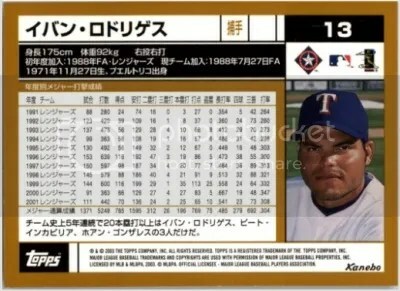 Luckily, Topps and Kanebo only used two players in their Series I set that actually had real rookies in 2002 – So Taguchi and Kaz Ishii. Neither of these players have much demand today, so their rookie cards from 2002 don’t hold much value. But its still nice to know the difference between a 2002 and 2003 card. Series II that was issued a little later on is a bit easier to follow. Not only was it issued in 2003, but it also utilizes the 2003 Topps Baseball design. Its double in size compared to Series I, and comes in at (110) cards. You’ll find Series II cards more difficult to find, and I don’t believe it had any parallels. Hideki Matsui has very few Topps rookie cards from 2003. Most of them come from Upper Deck, Fleer, and Donruss. 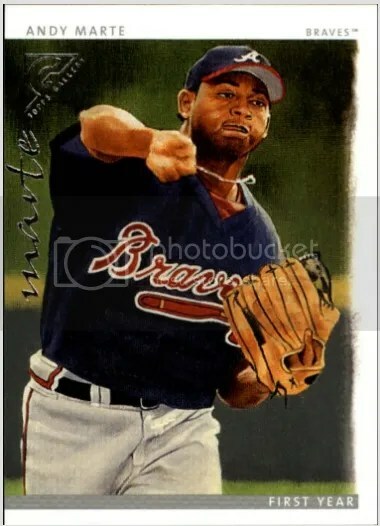 His ’03 eTopps card is the main Topps card you see from that year. Matsui didn’t have a rookie card in the 2003 Topps flagship brand, but he did get one in the Series II Kanebo set. I’ve never seen one, but it should be #110. Prices for these cards can be all over the place. It all depends on the player. 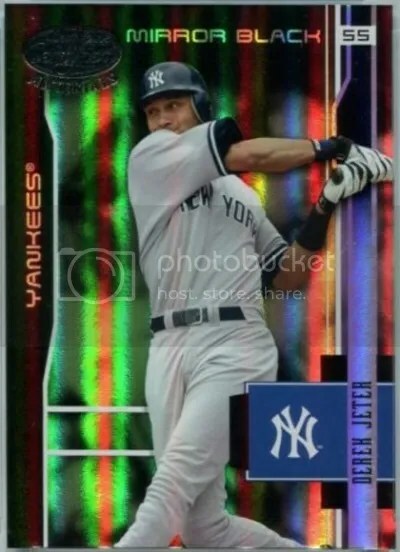 A base card of Derek Jeter from Series I recently sold for $10. 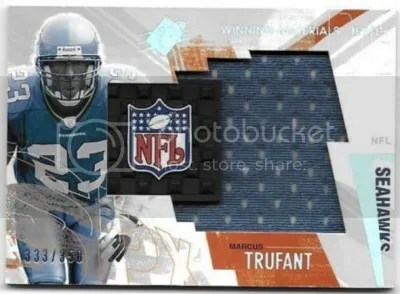 This contest is for a Marcus Trufant 2003 Upper Deck SPx Winning Materials Jersey #’ed/350. Good luck!!! This contest will end Friday, December 16, 2016 @ 8:00 p.m. EST.